We can't treat Millennials as a homogeneous group. We have to minister to them as individuals, instead. Millennials defy categorization. But that doesn’t stop us from trying to categorize them, anyway. Especially for Baby Boomers like me. We love categorizing people. It makes ministry easier. Simpler. Safer. As I wrote in Why Church Leaders Will Never Understand Millennials, the main reason we’re having a hard time figuring out how to minister to this generation is because Millennials aren’t really a thing. We made them up. Millennials aren’t really a thing. We made them up. Sure, people exist in the age range born between 1982 and 2004. But the idea that every generation can be defined by a clear set of distinctives doesn’t apply to them the way we’ve become accustomed to. Baby Boomers were the first generation to be defined as a homogeneous group. First of all, because there really was a baby boom in the decades following World War II. Our arrival also corresponded with the rise of the universal media. Three TV stations (in the US) one or two local newspapers per town (served by two wire services), nationally-read magazines, and a list of Top 40 songs that almost everyone listened to. And we lapped it up! Boomers loved having these experiences in common. In fact, we got so used to being defined as a group that we looked back at our parents’ generation and called them Builders. And that moniker fit. They had won the war, then the peace, then built the infrastructure of our nations. But then came the next generation and we didn’t know what to do with them. So we literally put an X on them – and Generation X was born. What changed that made Gen X so hard to categorize? The universal, one-size-fits-all media landscape was giving way to a multi-dimensional, choice-heavy society. In 1992, Bruce Springsteen sang 57 Channels and Nothing On, and we all wondered how anyone could navigate life with so many options! Now come the Millennials. With Facebook, YouTube, Netflix and more all literally in the palm of our hands, the idea of limited choices is a thing of the past. It’s every option at all times. Which makes categorizing this generation not just impossible, but foolhardy. The one-size-fits-all, homogeneous generation is over. But it really only existed for 50 years anyway. From about 1945 to 1995. We don’t have a name for any generation before the Builders because, without mass media, people were identified ethnically and regionally, not generationally. Millennials are forcing us to minister in a new way. New for us, that is. But it’s really the oldest way of all. We can’t treat them as a group, or even as subgroups. We have to actually minister to them one-on-one as individuals, instead. Oh, the (mock) horror! 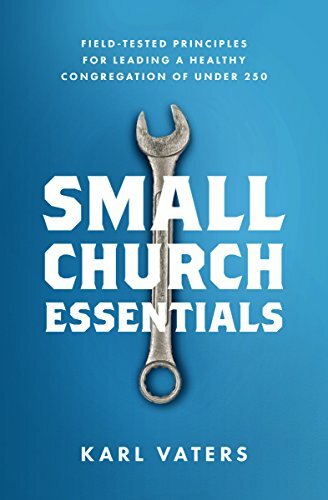 What Kinds of Churches Will Millennials Build? Millennials won't build the kinds of churches their parents and grandparents built. I don’t know what kinds of churches they will build, but they’ll be very different than what we’ve been used to in the last two generations. Here’s why. Builders and Boomers took relationships for granted and needed to build structures. Millennials take the structures for granted and need to build relationships. My parents’ and grandparents’ generations were literally building and rebuilding nations following the war. For the first time, construction companies didn’t just put up houses, they designed and built entire neighborhoods almost overnight. They ran telephone and electricity cables. They constructed freeways. And they erected church buildings in the same way. For my parents and grandparents, a permanent church building with pews bolted to the floor, a full-time pastor and denominational label meant permanence and status. In those generations, the fastest way to get money out of their pockets was to launch a capital fund building campaign. Millennials aren’t wrong to feel that way. And they’re not uncommitted. They just have different needs and see ministry through a different lens. In addition to giving them permanent physical structures, we also gave them an emotionally impaired, morally ambiguous, relationally impermanent society. This is the generation where divorce and/or parental neglect are virtually assumed. Contrasted by the sometimes equally damaging do-everything-for-them helicopter parents. Most of the relationships that previous generations took for granted have broken. So this generation has a high degree of skepticism, low trust in institutions and finely-tuned phoniness detectors. This generation has a high degree of skepticism, low trust in institutions and finely-tuned phoniness detectors. Neither is wrong. They just have different needs and ways of expressing them. Now that we have some idea of why millennials are different, maybe we can start talking about how to do better ministry with them. Note: ministry must happen with them, not to them or for them. I take a look at some of those principles in my follow-up post, Ministering to Millennials by Leveraging the Relational Power of Healthy Churches.